During the 2018 Blueye strategy workshop at Linesøya in Trøndelag, Norway, some of the Blueye Team members headed out with the underwater drone to explore a nearby water-filled crevice. As our Project Manager, Ane Mengshoel, is an experienced cave diver, we ofcourse had to test and see how the underwater drone would handle diving in a narrow lookalike cave filled with water. As the Blueye Pioneer underwater drone is the first of its kind, we aim to test it for multiple purposes. 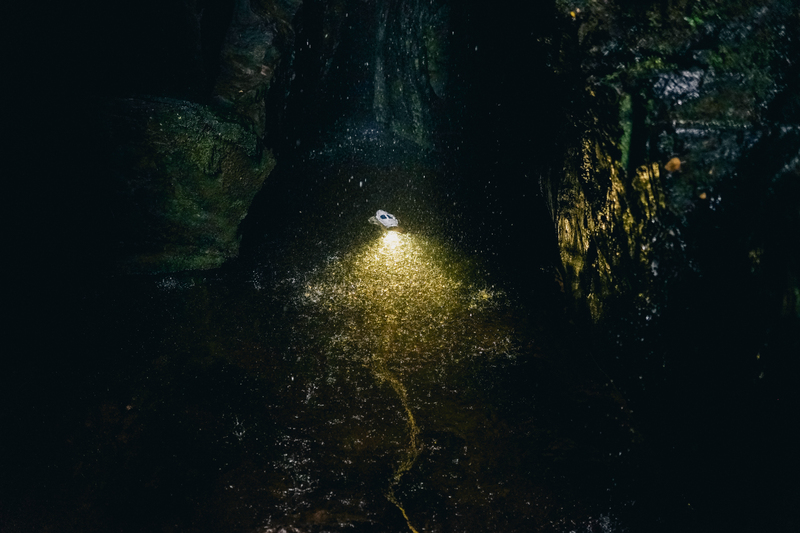 Since our Project Manager, Ane Mengshoel, is an experienced and enthusiastic cave diver, we wanted to bring the drone to a nearby water-filled crack in the mountain during our trip to Linesøya to test the drone and its function in a narrow place like this. Rune and the Blueye Pioneer underwater drone strapped to his backpack. 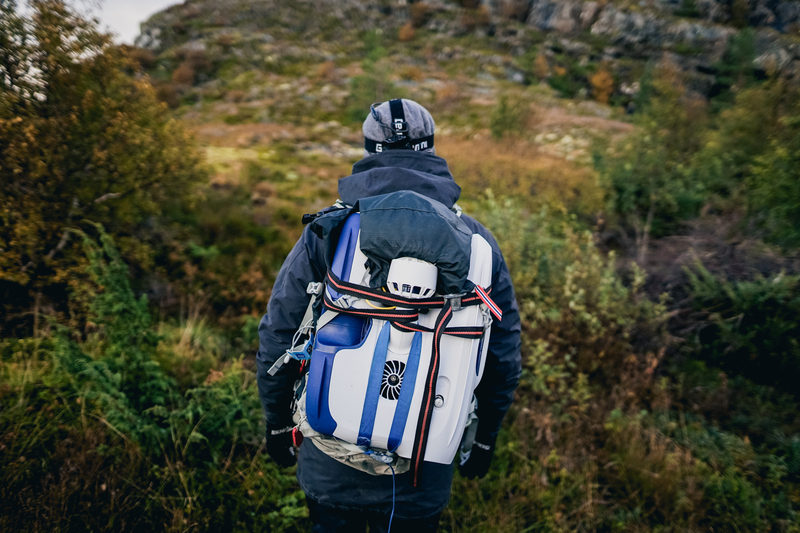 As the underwater drone is quite neat (weights less than 9 kg and is not wider than 48 cm), it wasn't hard to simply strap the drone to Rune's backpack. The tether (cabel) was stuffed inside the backpack together with the WSU and controller. The Blueye Pioneer taking it's first dive in a crevice. 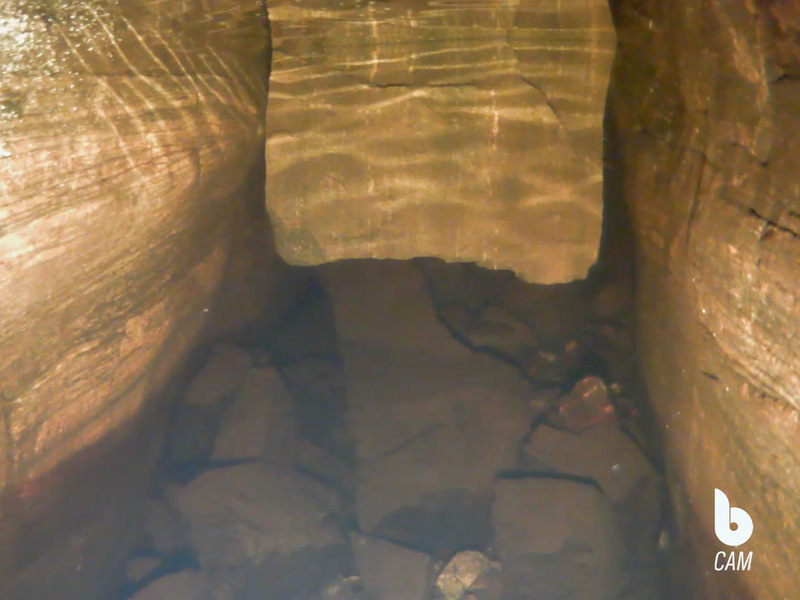 Ane started diving in 2001 and advanced into cave-diving in 2013. 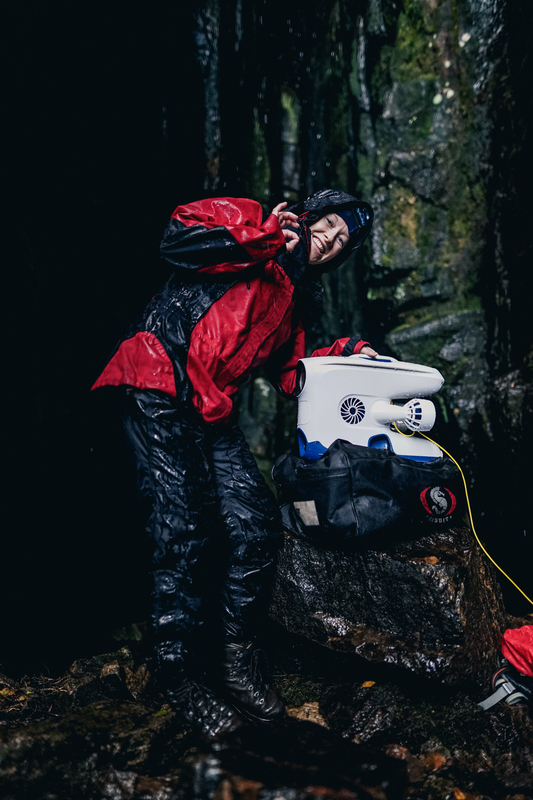 She has performed over 230 dives in caves and mines, and see clear benefits with using the Blueye Pioneer underwater drone for her exploration-expeditions. Ane approves the Blueye Pioneer for crevice-diving. Read more stories with the Blueye Pioneer underwater drone.